Lovely photos Eraser Great tourist draw card for the country. I'd love to be there and will if/when we travel to Europe/UK. YourGrandpa re my phone has navigation (Google maps) and they work fine (on the phone handset) but there is no connection to the car that I can do to put the phone maps in the unit... Music, pictures and video do work. Will you continue to pay for the GPS updates when they are no longer free or will you use the free GPS on your phone? Most people who's cars are not compatible with Android Auto or I/OS Car Play, buy a car mount for there phone, bluetooth/Aux Connect it to their car's audio system and get directions via the phone's screen and through the car's speaker system. This pretty much renders any built in GPS system useless, as Google Maps stays up to date year round. I don't know. In the age of smart phones, the idea of anyone having a stand-alone GPS seems pointless. Especially if they don't auto update. I get that. But Whiskey seems to be a bit thrifty. Which is why asked if he will continue to pay for GPS updates if they a free on other platforms. Anyone not using Waze by Google is a moron. I have used the 'smart phone' GPS on a number of occasions. I have also 'connected' the phone to the car as the car supports ANDROID connections (wired & wireless) but AFAIK for music/video only. I haven't bothered using the car speakers to sound out the phone (GPS) instructions - never tried that... The car AV system doesn't screen mirror. Does any car yet? It is just that I was sold a product with extras and they are short changing me so I am upset and demanding they do the right thing! I bought the KIA as it had among other things and besides looks, a 7 year factory warranty, a full sized spare tyre on an alloy wheel (used that in the first weeks) and of all things free GPS map updates. Will be leaving for some Thailand in a few days. Also gave myself a Switch for my bday, though it's really for the kids. Mario Odyssey is pg. That zelda game looks like a hoot. In the Motoring lift-out there was a surprise. Big image so you can read and btw, I am not the Author Robert Marshall or do I write the column. You collect popsicle sticks for prizes, complain about take-out vs eat-in prices, revel in the purchase of Legos, chase a $13.50 news paper refund for 20+ weeks and that's just in the first few pages of this thread. If that's not thrifty, what is? Anyway. I suggest you turn on your cell phone's GPS, connect it to your car via bluethooth and enjoy the directions through your car's audio system. Because by the content of that article it seems like your Kia GPS's days are numbered. Also, download that Wazes app DB mentioned. Its the bees knees. I understand and accept that you don’t know me YourGrandpa, no problem! Know that I am no bigot. Most who know me would say I was a tad obsessive and that I like to see justice done. I deal with all people fairly regardless until they prove they are not deserved. I spend money like it’s going out of fashion to the annoyance of my closest so no, I still don’t think I’m thrifty. Simply, I am of the belief you should get the goods and services you pay for and I don’t mind paying at all. Thanks for the Wazes app advice as I would have to agree my Kia GPS's days are numbered! Went out to dinner last night and ordered their $12.00 glass of Barrel Aged Ten Fiddy ( 12.9%ABV) and this is what I got. Needless to say, I was a little surprised when the bartender sat the glass down in front of me. Knowing that most craft beer places offer the bigger ABV beers in different sizes, I asked her if this was the $12.00 glass. She then pointed out where it said "mini snifter" next to the beer and the associated symbol legend that provided a description of each type of glass. She needlessly apologized and I thanked her chalking it up to a lesson learned. Pretty sure that glass would look normal sized for Trump. It's the biggest glass of beer in the whorld! It's true! Some pics from today's ride. Lovely shots especially the last avenue of tress. I quite like that one myself. Are they a fig tree of sorts? Yes. Banyan trees to be exact. Yesterday was one of those perfect riding days. 80 degrees and not a cloud in the sky. Interesting as I know them as 'Moreton Bay figs' so I Googled...." Are Moreton Bay fig tress also known as Banyan trees? " Today I did a 130+ mile ride out by Lake Okeechobee. It was a little warmer today, but still awesome weather. 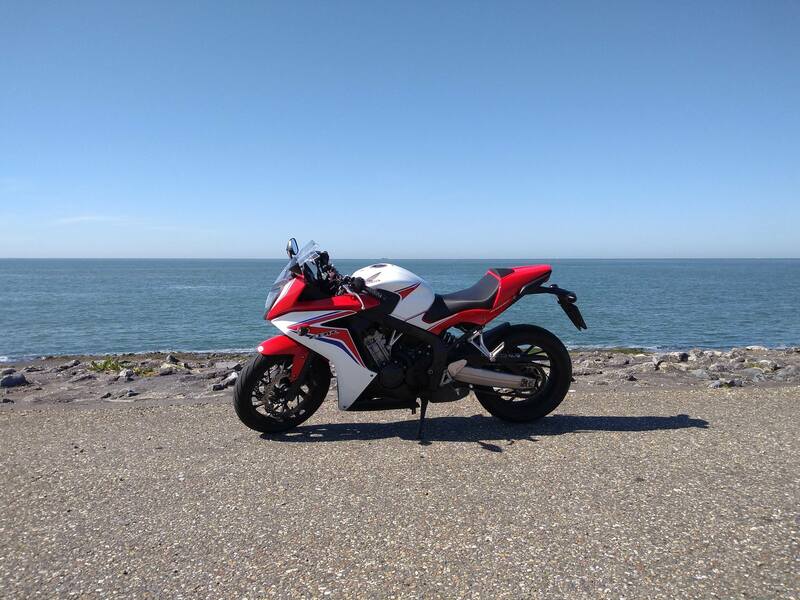 I too rode to the sea today! The sea is at my doorsteps... Flooding everywhere around these parts. The area I live in has a little bridge that's the only way in or out of that area and it's flooded over the bridge now. I was driving out of the area yesterday and all cars were parked up on the hillside down to the bridge stranded on the newly formed island. Thankfully I had enough clearance to make it across in the Jeep but I'm not sure for how much longer, water is still rising. lol no... 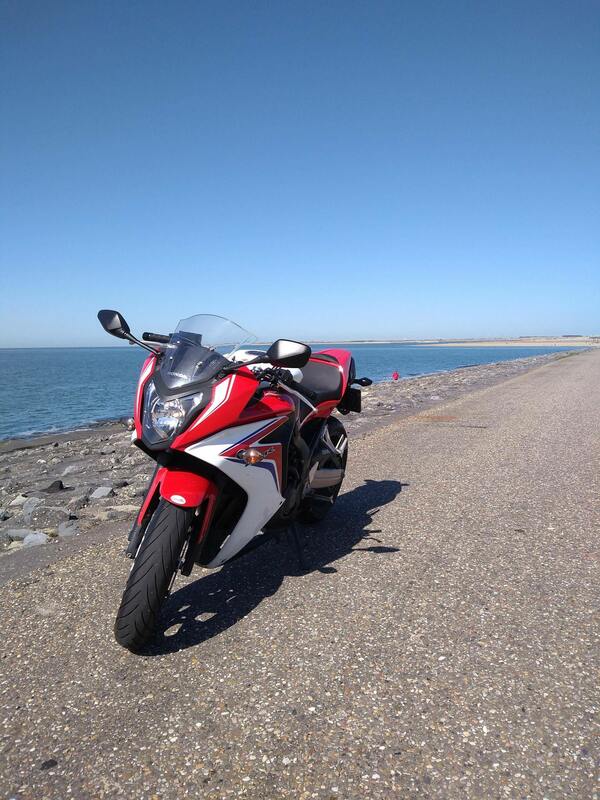 I'm actually looking to sell My CBR500R at this stage and once that's done I'll be looking at a replacement bike. I'm not 100% sure what that'll be though at this point but I know it won't be an H2R due to the cost of the thing. I've always wanted a YZFR1 but I'll have to shop around and see what's out there.